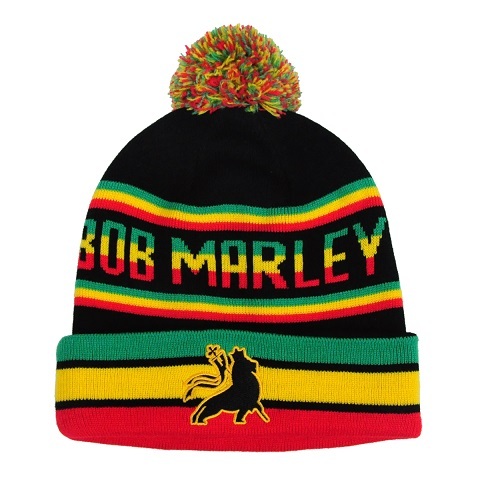 This is the rasta spin on the classic winter pom pom hat. This black winter beanie features rasta colors around the folded rim of the hat. The words Bob Marley are written on one side while the words One Love are written on the other. And of course lets not forget about the rasta colored pom pom on top!